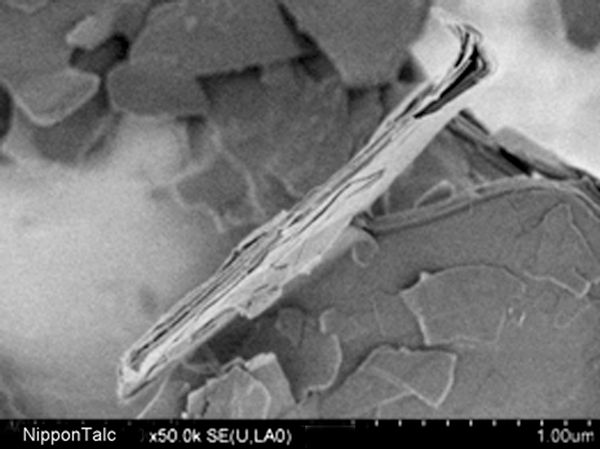 Conventional technology cannot fully bring out the functions of talc, because talc loses its plate-like particle shape when it is atomized. NANO ACE has been developed as a result of the integration of Nippon Talc’s innovative technology development capabilities. NANO ACE still maintains the original plate-like particle shape of talc and maximum particle size is properly controlled in the limited range. 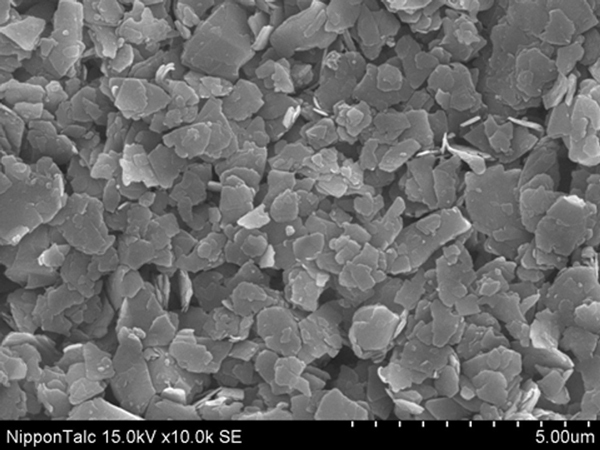 NANO ACE attracts attention as it offers new possibilities of talc, such as an expansion of applications to the cutting-edge electronic material field. NANO ACE applications include resin fillers, crystal nucleating agents, electronic materials, and high value-added adhesive.